Figure 17.10 Oracle Sales Cloud CTI connector. 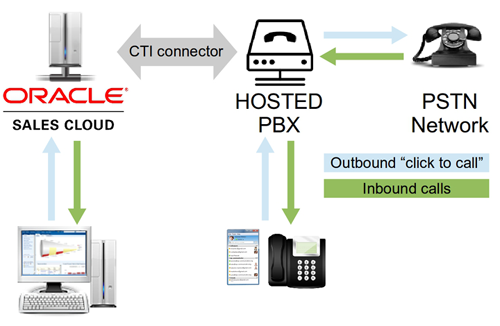 1) Outbound “click to call” connections to PSTN (Traditional Telephony Network) from within Oracle Sales Cloud environment involves clicking telephone number link in the user interface which triggers VoIPstudio network to place a call to SIP endpoint (IP Phone or Softphone) registered on the user account. As soon as this call is answered it is being transferred to the number clicked. 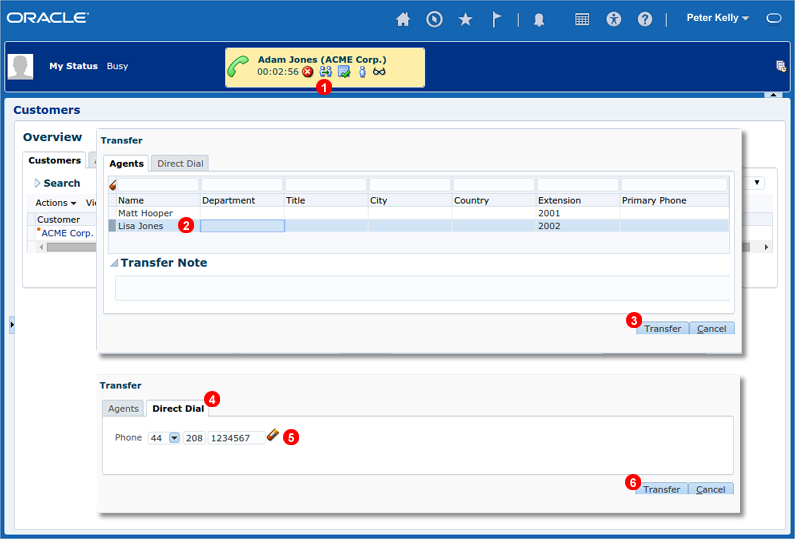 2) Incoming calls received from PSTN (Traditional Telephony Network) are generating real time notifications about call state (Ringing, Connected, On Hold, Disconnected) which can be handled in Oracle Sales Cloud CTI widget embedded in user interface. 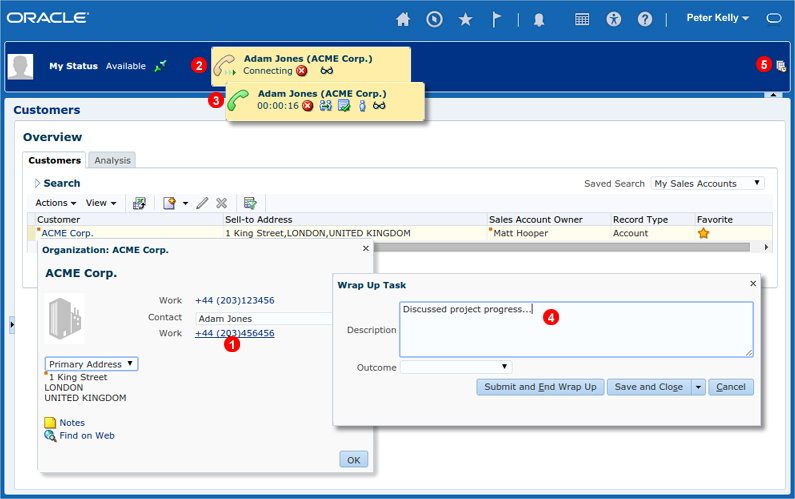 In both scenarios described above once the call is established users can control call state using Oracle Sales Cloud CTI widget. Ongoing connections can be Transferred to a different PBX user or external number, placed into 3-way Conference or Disconnected. Figure 17.11 Oracle Sales Cloud connector diagram. Figure 17.12 Oracle Sales Cloud CTI connector configuration. Click your name in top right corner to open menu. Select Setup and maintenance... from the menu. In All Tasks tab enter connector into name field. Click Go to task icon next to Manage Communication Connectors task. Switch to Connector Type tab. Click + icon to add new connector type record. Enter Hosted PBX as Name and Defines communication parameters with Hosted PBX as Description. Click + icon to add new Agent Connection Parameter. Add two parameter names: AcdExtension and AcdUserId. Leave default values blank. Click + icon to add new connector record. Enter Hosted PBX Connector as Connector Name, select Hosted PBX as Connector Type and enter Hosted PBX Connector as Description. 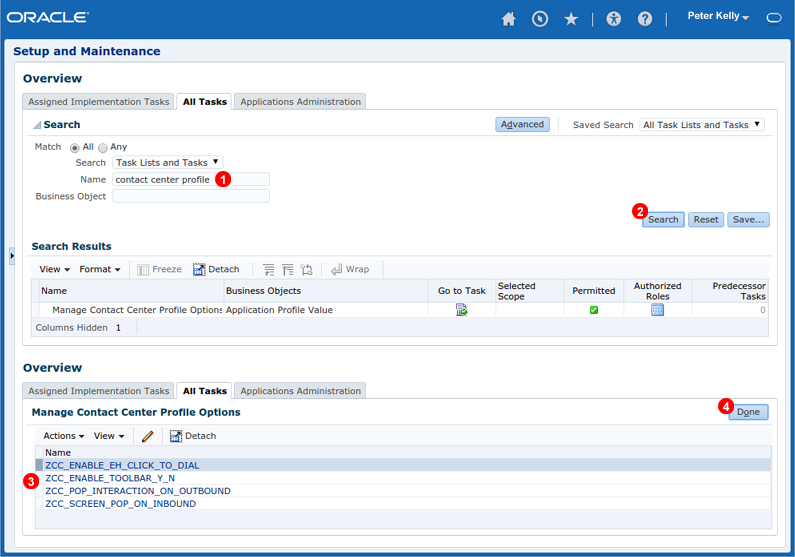 Figure 17.13 Oracle Sales Cloud CTI connector agent settings. Click Go to task icon next to Manage Agent Connector Settings task. Click + icon to add new Agent record. Click search icon in Name field. Use Search and Select Resource window to select an Agent. Enter Agent's VoIPstudio extension number into AcdExtensions field. Extension number can be found in VoIPstudio User Edit window General tab - see Figure 7.3 field shown as (7). Enter Agent's VoIPstudio SIP Username into AcdUser id field. SIP Username can be found in VoIPstudio User Edit window SIP Info tab - see Figure 7.7 field shown as (1). Repeat steps 2-5 to add all agents who require CTI functionality. Finally click Save and Close button. 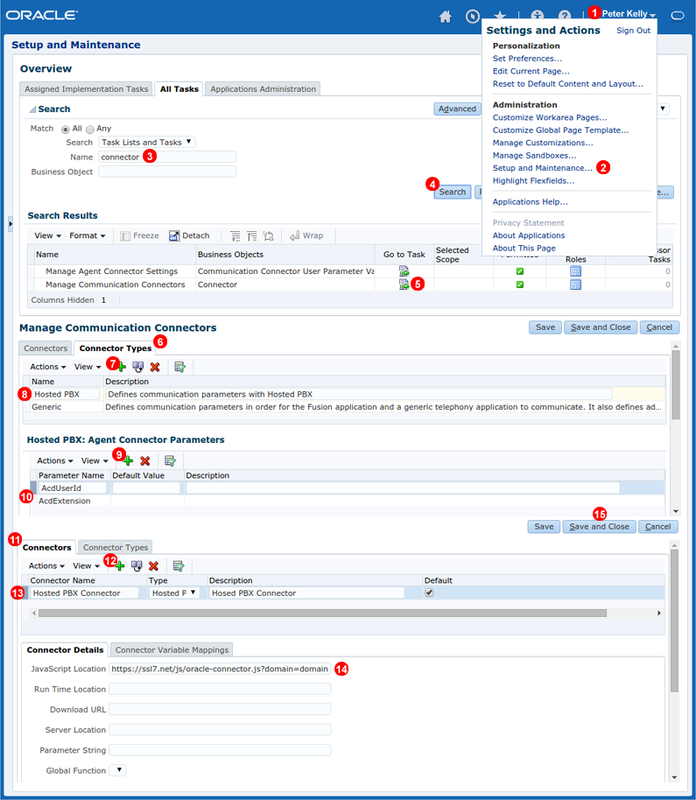 Figure 17.14 Oracle Sales Cloud CTI connector contact centre profile. Enter contact center profile into Name field. Make sure all features shown in Figure 17.14 above are enabled. Figure 17.15 Oracle Sales Cloud CTI connector login. Click green icon shown as (1) in Figure 17.15 above. Enter VoIPstudio email address into field Agent ID. Enter VoIPstudio password into field Agent Password. Click OK button. After a short while connector status should change from Not Connected to Available. 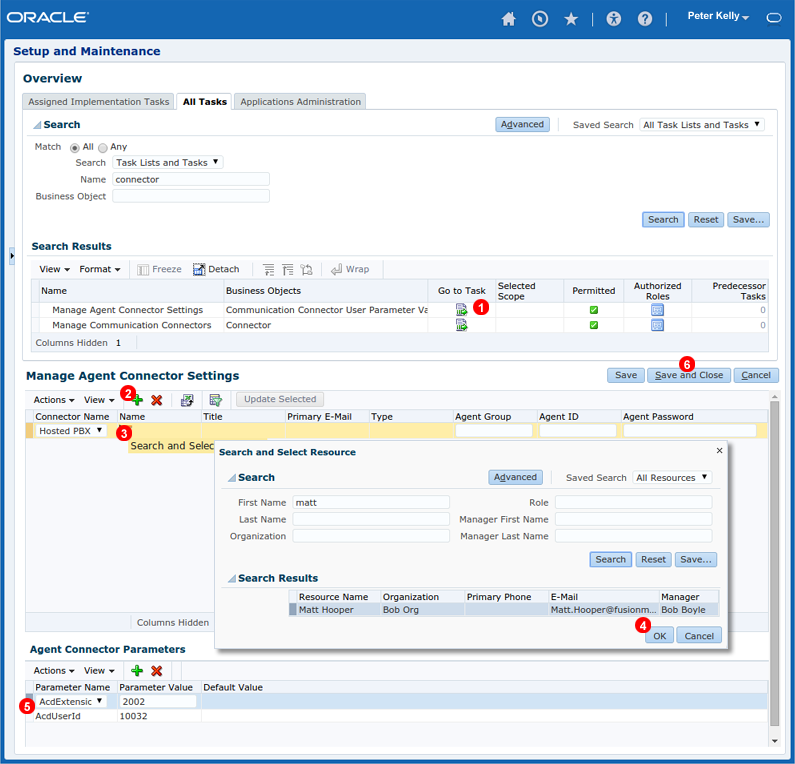 Figure 17.16 Oracle Sales Cloud outbound calls. Click on a telephone number link you want to place a call to. Call status widget will show up indicating call progress. In the first stage VoIPstudio network will attempt to contact SIP Endpoint (Softphone or IP Phone) registered on Agent's account. Once SIP Endpoint accepts connection a call is being placed to the number clicked. When call is completed Wrap Up Task window shows up where Agent's can make notes about their activities. Call history can be accessed via icon shown as (5) in Figure 17.15 above. Figure 17.17 Oracle Sales Cloud inbound calls. When call is in ringing state new of the Contact (if known) is shown. 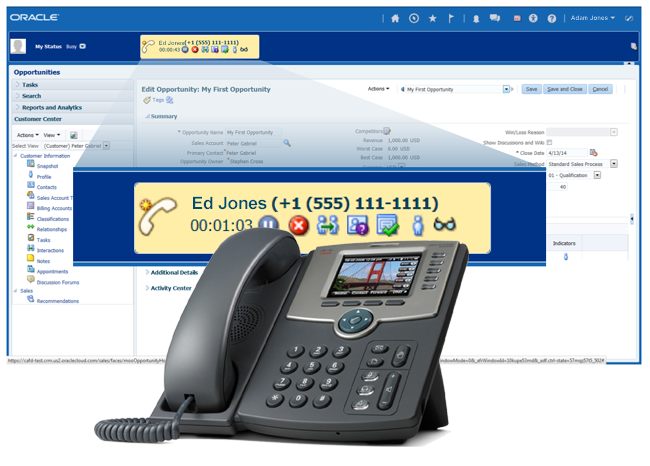 At any time caller can be identified by clicking icon shown as (3) in Figure 17.17 above. Figure 17.18 Oracle Sales Cloud call transfer. Established call (both outbound or inbound) can be transfered either to another Agent (internal transfer) or to PSTN number (external transfer). Click transfer icon shown as (1) in Figure 17.18 above. For internal transfer select agent where call should be transfered to. Click Transfer button to complete the transfer. For external transfer click Direct Dial tab. Enter number where call should be transfered to.